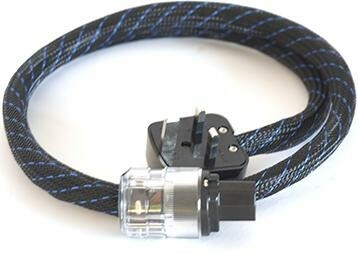 TCI (True Colours Industries) Temple Constrictor mains cable replaces the "Super Constrictor" and improves on its popular predecessor to fully justify its position in the TCI range as the most popular mains cable upgrade. Constructed using twice as many cores as the Constrictor, and with its larger silver content, it sets new performance standards. Designed to offer an enhancement to mains quality that allows your Hi-Fi and Home Cinema components to reach their full potential, sonic improvements can include more detail, bigger sound stage, better dynamics and a deeper and fuller bass. Because of the quieter noise floor, low level detail is also improved as well as the portrayal of micro dynamics. Now supplied with Rhodium plated UK 13A Mains plug. 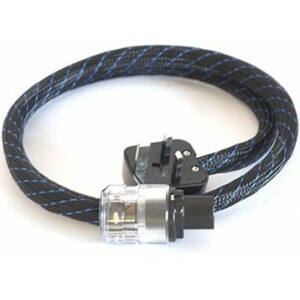 We also sell the lower model cables TCI Baby Constrictor, TCI Constrictor and the higher model cables TCI King Constrictor, TCI Boa Constrictor. Please note: We always recommend upgrading the basic "giveaway" IEC mains cable included with most equipment as these are usually designed to be as cost effective as possible and don't effectively reject radio frequency interference (RFI) which can affect the sound of your system. After all, when you've spent good money on a your system, a good quality mains cable like this is a small investment to ensure it sounds at its very best.